Hobbies are often thought of as activities for people who lead quiet, relaxed lives. However, people with full, busy, even stressful lives may need hobbies more than the average person, and benefit greatly from having hobbies in their lives. Hobbies bring many benefits that usually make them more than worth the time they require. Here are some of the advantages of having hobbies. Hobbies provide a slice of work-free and responsibility-free time in your schedule. This can be especially welcome for people who feel overwhelmed by all that they have to do and need to recharge their batteries by doing something they enjoy. For those who feel overwhelmed by responsibility, it may be difficult to find the time or give themselves permission to take a break from a busy schedule and just sit and relax. Engaging in hobbies, however, can provide a break with a purpose, which can help people feel that they’re not just sitting around but are using their downtime for something productive. Either way, hobbies provide a nice break during a busy week. For those who aren’t overly stressed and may actually be under-stimulated, hobbies provide a nice source of eustress, the healthy kind of stress that we all need to remain feeling excited about life. If the rest of your life is somewhat dull or uninspiring, hobbies can provide meaning and fun and can break up a boring schedule without feeling like work. In other words, hobbies can provide just the right amount of challenge. Many hobbies lend themselves to group activities: golfing rotations, knitting circles, and creative writing groups are good examples. 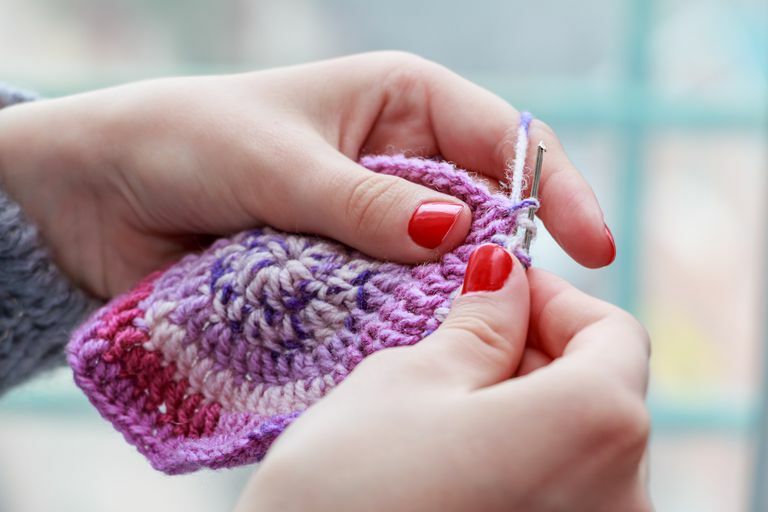 Hobbies that connect you with others can bring the added benefit of social support, which can bring stress relief and meaning to life in a fun way. The friends you have fun with can become some of your best friends, so hobbies that bring you closer to others are well worth your time. Positive psychology, a relatively new branch of psychology that studies what makes life worthwhile, has discovered that pleasures—activities that bring fun to life—can be wonderful for relaxation and enjoyment of the moment. Pleasures can bring a lift to your mood. Because hobbies generally incorporate pleasures into your life, maintaining hobbies can be good for your overall sense of joy in life. Also from positive psychology, gratifications are important activities that bring meaning and fun to life. Gratifications present the kind of challenge that requires us to use some of our best personal skills and engages us in a sense of flow, which can put us in a near-meditative state where we lose track of time and feel removed from the stressors of life, and fully engage in what we are doing. Gratifications can lead to a reduction in stress and a sense of well-being, and hobbies are usually experienced as gratifications. If you want more happiness and fewer stress experiences in your life, hobbies provide a direct route to gratifications that can lead to this. Hobbies bring a sense of fun and freedom to life that can help to minimize the impact of chronic stress. Those who feel overwhelmed at a job, for example, can benefit from hobbies because they provide an outlet for stress and something to look forward to after a hard day (or week) at a stressful job. In other words, hobbies can help buffer the effects of a stressful job, and mitigate factors that contribute to burnout. One study found that those who engage in physical leisure activities for at least 20 minutes once a week are less susceptible to fatigue. Other research found that enjoyable activities performed during leisure time were associated with lower blood pressure, total cortisol, waist circumference, and body mass index, and perceptions of better physical function. Such activities were also correlated with higher levels of positive psychosocial states and lower levels of depression and negative effect. Erikson, W. and Bruusgaard, D. (June 2004). Do Physical Leisure Time Activities Prevent Fatigue? A 15-Month Prospective Study of Nurses' Aides. Brazilian Journal of Sports Medicine. 38(3): 331–336. Peterson, C. A Primer in Positive Psychology. New York: Oxford University Press, Inc., 2006. Seligman, M. E. P. Authentic Happiness: Using the New Positive Psychology to Realize Your Potential for Lasting Fulfillment. New York: Free Press, 2002. Pressman, S. D. et. al. (Sept. 2009). Association of Enjoyable Leisure Activities With Psychological and Physical Well-Being. Psychosomatic Medicine, 71(7): 725–732. Sonnentag, Sabine. (Mar 2006). Job Characteristics and Off-Job Activities as Predictors of Need for Recovery, Well-being, and Fatigue. Journal of Applied Psychology, Vol 91(2).